The first lunar eclipse of 2014 happened over Monday night into Tuesday morning. The total phase of the eclipse started at 12:08am PST. I went out into my backyard with my camera at about 11pm and started to take some photos. Disappointingly, clouds moved in right about 11:45 and I was only able to see slight glimpses of the total phase and missed all of the blood red hue. But I was able to make this mini-collage of what I was able to capture before the cloud cover moved in. Awesome! You got some great shots! Sadly we missed the event due to heavy rain. The same thing happened to me. I saw much of the eclipse, but clouds covered the red moon. I do love your collage, though. Very neat. I completely missed it so you did much better. Sorry that clouds obscured your view. But what you've got is still an amazing. Wow ... this is wonderful. Sorry the clouds moved in. 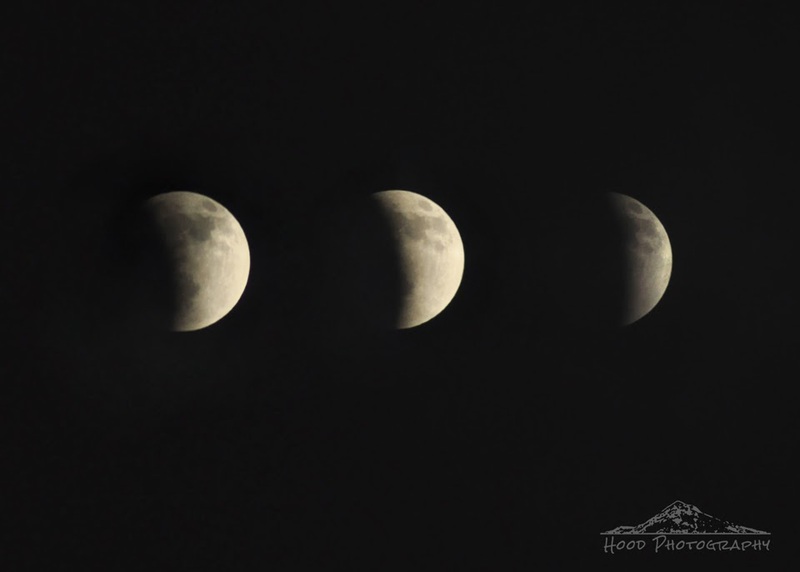 Great shots of the lunar eclipse. Terrific captures indeed!! Marvelous eclipse!! Thanks for sharing! Enjoy your weekend! I have seen eclipses before, but this time out, we have overcast skies all night. Spectacular!! I tried to do something like this with mixed results!! Great pictures of the Moon - I had wonderful dark skies, but mine are a bit clouded!